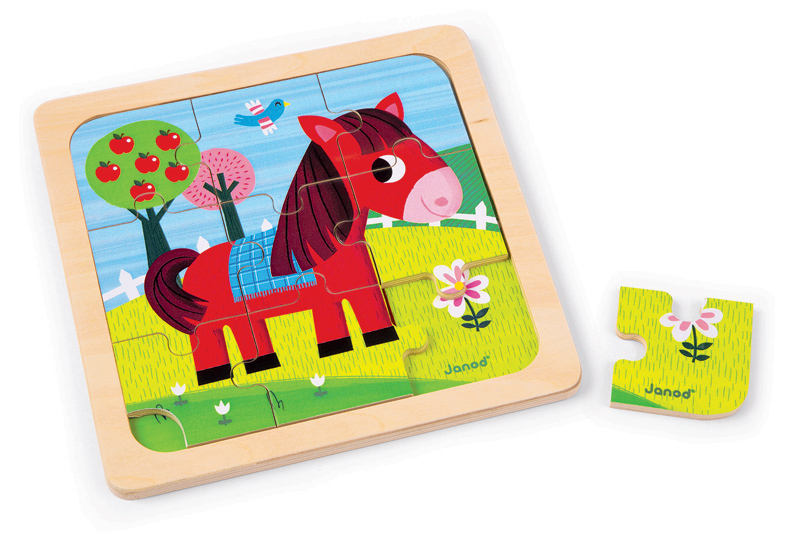 Put Tornado together so he can gallop around the paddock. 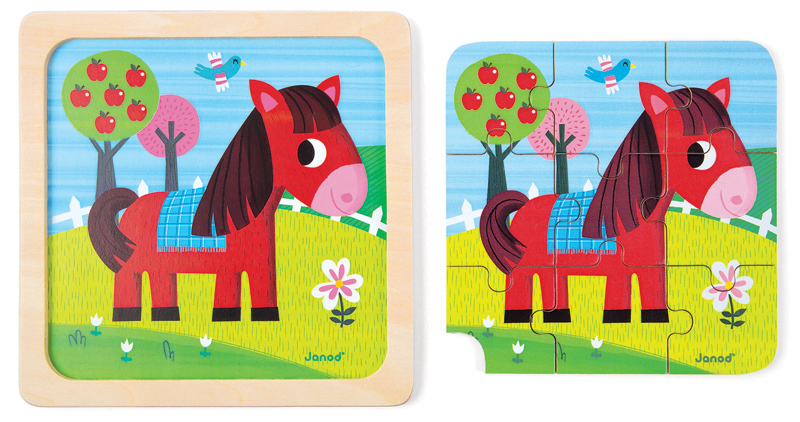 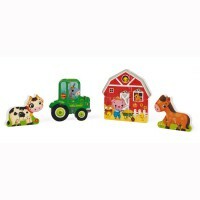 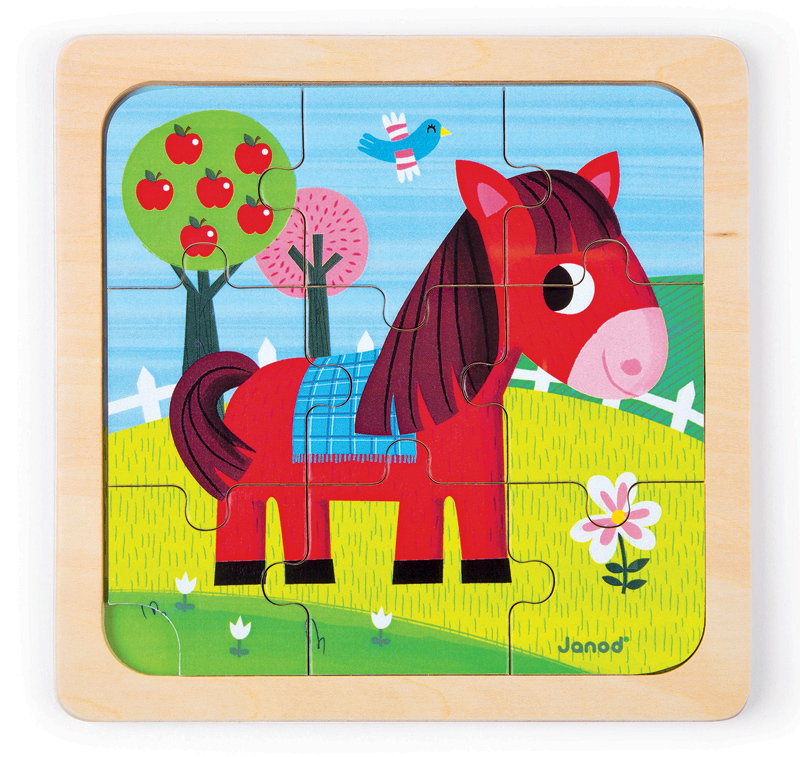 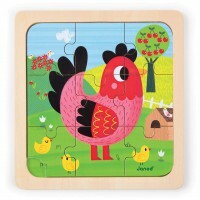 9 wooden pieces that form a picture of Tornado the horse in his meadow with an apple tree and flowers. 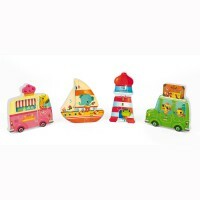 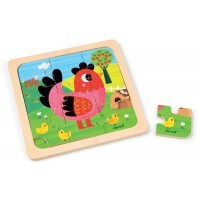 Chunky enough for little hands to hold and a simple, colourful image to start shape and pattern recognition. 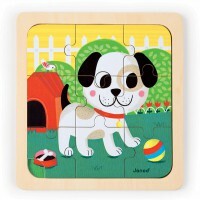 There is a cut out corner on one piece to help remove the parts easily from the base and a copy of the picture is painted on the base to encourage independence and being able to put it together all by themselves. 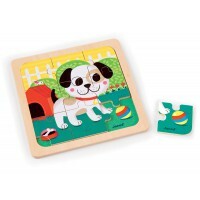 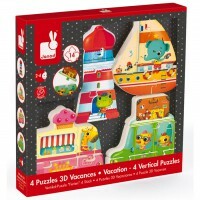 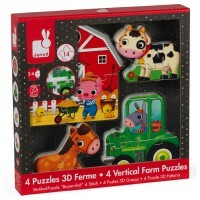 A great starter puzzle and a step up from the traditional peg puzzle.